Paying little attention to reassuring comments in Europe, the US crude futures continued their plunge, losing another $1.12 to close at $93.32. Wednesday's US jobless claims figures were disappointing and the energy sector's interpretation was for gloomy economic outlook. Today's non-farm payrolls may provide clues as the next possible direction for the oil markets. Bears are really enjoying the current downside momentum in gold which lost another $4.5 yesterday to end at $1552.6. As the precious metal sank it broke through the support around $1560 and posted a new 'recent low' at $1539. It happened despite ECB maintaining its loose monetary policy which usually attracts safe harbour demand. Yesterday, the US Department of Energy indicated a bigger than expected build in the weekly crude oil stockpiles, 2.7m barrels versus a forecast of a 1.8m barrel increase. However what triggered the steep nosedive in US oil prices was the announcement that overall inventories moved to a 22-year record high of 388m barrels. Crude oil futures sank $2.44 to $94.46. A slump in the stock market yesterday was a bearish feature for commodities with gold paying the price too. The precious metal dropped $18.3 to end at $1556.7 despite its safe haven demand which usually acts as good support in a risk-off session. At one point gold futures touched a recent low at $1549, yet another indication that the metal has, for now, lost its appeal. The US crude price stopped for a breather yesterday ahead of the weekly inventories report which is due to be released later today. US oil futures closed marginally lower, down 8¢, at $96.88. Crude oil's pause might be because energy investors have turned extra cautious ahead of the ECB and BoE meetings (Thursday) and the non-farm payrolls (Friday). The gold futures market resumed its plunge with a vengeance, losing $23.6 to close at $1575.4. This was mainly due to a strengthening US dollar and falling demand for alternative assets. It was gold's biggest slump for more than a month and the price has now crossed below the short term moving averages. The next support can be seen around the $1560 mark. Sorry, there is no commodities market commentary for today. 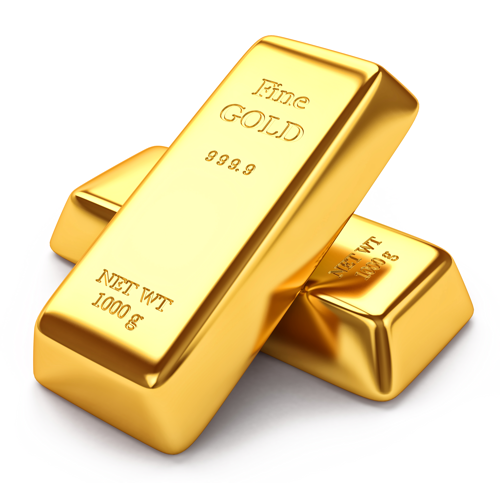 Yesterday gold gained $5.4 to $1605.1, effectively recouping the previous day's losses. It looks like investors considered that there might be some unfinished business after the Cypriot banks were shut for 10 days. At the same time, the Federal Reserve hinted, through New York President Dudley, that its accommodative monetary policy is here to stay. The hint spurred demand for gold as wealth preserver. US crude prices dropped yesterday afternoon after the US Department of Energy indicated, in its weekly stockpiles report, that crude inventories had increased by more than the expected amount. However, towards the close the US crude oil turned course recovering the initial losses and even managed to finish 49¢ in positive territory at $96.64 on news that some refineries had boosted their operations. Gold closed $6.1 lower at $1,599.2 yesterday, and the metal is now poised to fall for a fourth consecutive day. The gold market is seeing its worst run in three weeks due to a combination of upbeat data from the US and the Cypriot bailout deal. Many are now wondering when the safe haven sparkle will return, with support only seeming to come from hope of further monetary stimulus measures and inflation in the second half of the year. With the turmoil in Europe out of the way for now, US energy market participants had a chance to refocus on the economic data which undoubtedly supported the latest rally in crude prices. As such, with orders for durable goods and new home sales surpassing forecasts, we saw a rise in expectations for future oil demand. In turn, that pushed Nymex crude oil $1.50 higher to $96.16. Gold closed at $1,605.3 yesterday and is edging down towards the key support level of $1,600 this morning given that the last minute deal to help Cyprus makes things seem a little more stable for now. Nevertheless, the precious metal is being supported by worries that the events in Cyprus may mean a restructuring of the Eurozone banking sector. This may suggest an element of longer-term uncertainty which is leading some spread betting investors to seek the safe haven asset. Gold has rebounded by around 3.3% since it hit a seven month low of $1,555.5 on February 21, and this has been primarily due to concerns over Europe. For now, investors are keeping a close eye on the implications for the Eurozone, the price of the dollar and other possible global central bank monetary stimulus measures that may stoke inflation concerns. Despite a stronger dollar, Nymex crude oil rallied yesterday, gaining $0.94 to $94.64, the highest level seen in more than four weeks. Energy investors seem to have seen the Cypriot bailout as a sign that demand for crude oil could pick up, rather than worrying about a shaky Eurozone banking system posing renewed risks for the global economic recovery. In commodities spread betting, gold closed at $1,608.1 in the last session and is edging up this morning as bargain hunters and jewellers enter the market. A last minute deal to bailout Cyprus has been made and now the Eurozone appears to be more stable for the time being, contrasting with earlier in the month when investors flocked to the precious metal. An improving economy on the other side of the Atlantic supported demand for crude oil despite the renewed turmoil in the European banking system. Consequently, WTI crude oil advanced $1.52 to $93.84 on Friday, also helped by a weaker dollar. This morning, a last minute deal on the Cyprus bailout is already pushing crude prices higher at the time of writing.